Do you believe in providing the best in Human Resources and Employee Relations...Here's a great Executive Director of Human Resources and Recruiting opportunity on The Grand Strand for you....Come join our Team! Direct and lead a professional, effective and efficient Human Resources service to the resorts ensuring strategies are in place that balance the needs of individual resorts services with the need to deploy a flexible and cost-effective service across the resorts to support delivery of the Legacy (VMB) objectives and goals. Provide the means for the proper recruitment, retention and performance appraisal of highly skilled staff able to contribute significantly and deliver good quality and cost-effective services. Monitoring employee applications for up and coming new hires for the best fit within our company. Implement a variety of personnel development programs, including ongoing education for existing staff, an internship hospitality program and a manager in training program. Continuously monitor staffing levels at all resorts, and work with the resorts to ensure that there is the appropriate level of existing staff. Work with contract labor staffing as needed to maintain high caliber employee, through meeting, monitoring, and arranging with the contract labor vendors. Act as expert adviser on all personnel and development issues supporting staff and managers on complex/high level matters. Innovate and challenge established methods to secure continuous improvement to keep the resorts at the cutting edge of local HR policies and procedures. Implement change in the shortest possible time-frame. Ensure that relevant and best professional advice, guidance and information is available in an intelligible and timely fashion to the resorts’ members. · Bachelor’s degree or 4 years related experience. · Read, write and speak English fluently. · Ability to interpret and advise property management according to employment laws of jurisdiction. · Required college graduate reasoning, mathematics, and language skills. · Ability to deal with diversified workforce. · Ability to communicate effectively with the public and other employees. · CUSTOMER SERVICE: Ensure all employees, including all new hires, are trained to meet standards. · FINANCIAL: Monitor progress against resort and department objectives throughout the year. Develop realistic budget for Human Resources department with GM and operate within it. Monitor department expenses against monthly operating statement. Monitor inventory and supplies in HR department. Monitor overtime hours for all employees. Keep GM informed of changes in department costs. Forecast wage and benefit changes. hiring employees. Provide career counseling to employees and promote internal opportunities. · QUALITY: Coordinate and maintain good relations with other departments. Work with all departments to maintain and improve guest service. Assist in solving HR related interdepartmental problems. Keep departments informed of social events. Coordinate with other departments on joint tasks such as employee incentives, performance reviews, teamwork. Assist in cross training between departments. Monitor employee participation and progress of training. Develop language programs for non-English speaking employees. Inform managers of external training programs. Stay informed of new issues, wage/hour laws and other HR related topics and inform management of relevant issues. · MANAGING THE BUSINESS: Enforce compliance with updated policies, procedures and benefits. compensation and monitor costs. Conduct wage and benefit survey annually. Practice behavior-based interviewing. Ensure employment practices are cost effective. Assist in managing turnover with effective selection and employment practices. Maintain creative recruiting techniques to attract better applicants. Maintain favorable relations with local agencies to maintain applicant flow. · Oversee HR Generalists to ensure the departments are running smoothly at each resort. · Demonstrate positive leadership characteristics, which inspire employees to meet and exceed standards. · Design resort Affirmative Action program and monitor compliance. · Develop and administer Company and property benefits programs. · Develop and implement resort level Human Resources policies. · Direct all recruiting and employment efforts. · Manage all unemployment compensation activity. Manage all resorts new employee orientation programs. · Manage all workers’ compensation claims. · Perform in the capacity of any positions supervised. · Complete orientation and training activities. · Advise the COO and HR Generalists on policies, procedures and management issues related to the areas of responsibility of the position. · Coordinate management development programs. · Develop and direct employee communications programs. · Facilitate the resolution of employee relation’s issues. · Identify useful labor markets/sources and maintain ready supply to meet resort needs. · Complete monthly turnover, absenteeism and manpower reports. · Complete other duties as assigned by supervisor to include cross training. · Conduct management training programs. · Create and implement training to address property needs. · Develop employee recognition, incentive and other workforce campaigns. · Identify and recommend solutions to management team. · Manage all external agency investigations. · Perform annual wage and benefit survey. · Prepare annual EEO-1 report. 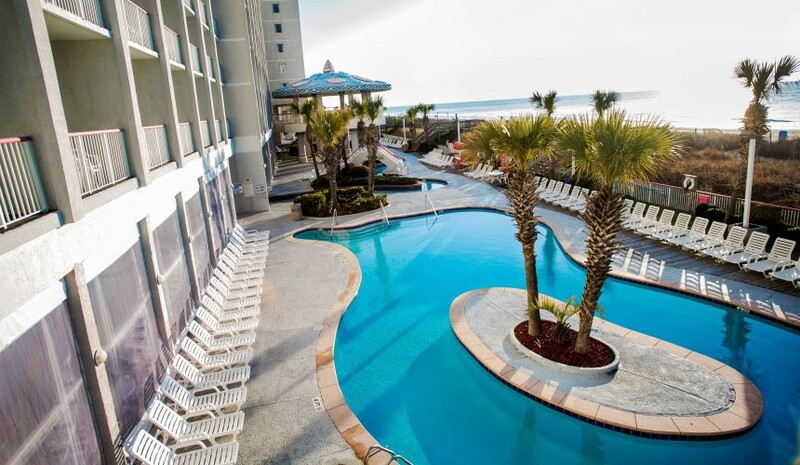 Vacation Myrtle Beach is one of the leading resort hotel and condominium marketing groups on the Grand Strand, and managed by Legacy Business Solutions, LLC. Our properties are diverse and host all kinds of guests: travelers, golf enthusiasts, special business and social groups, weddings, and more! 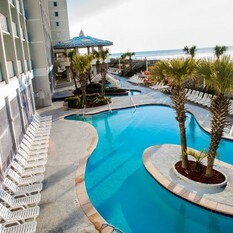 Vacation Myrtle Beach is the official vacation site of Myrtle Beach, South Carolina. 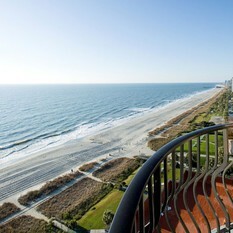 Featuring nearly 4,000 units in a variety of Myrtle Beach hotels and resorts right on the ocean. 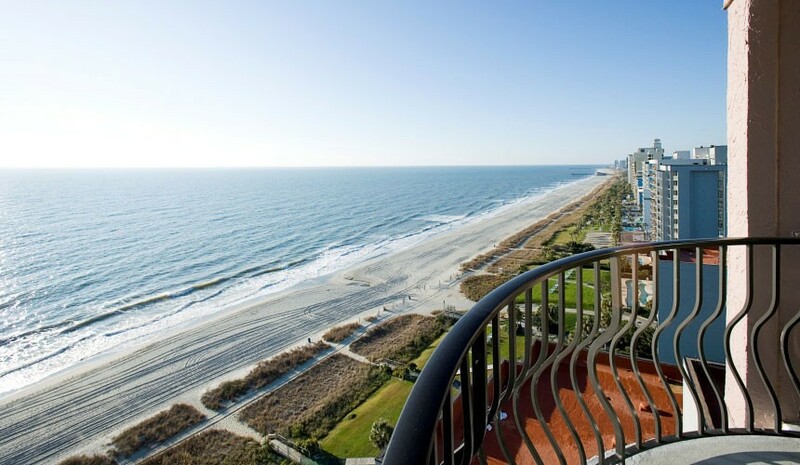 Vacation Myrtle Beach also provides information on Myrtle Beach's hottest attractions, theaters, golf, shopping, dining and more. 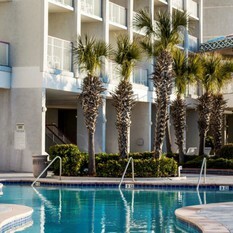 To give our guests the most exciting, fun-filled, and enjoyable vacation experience ever!